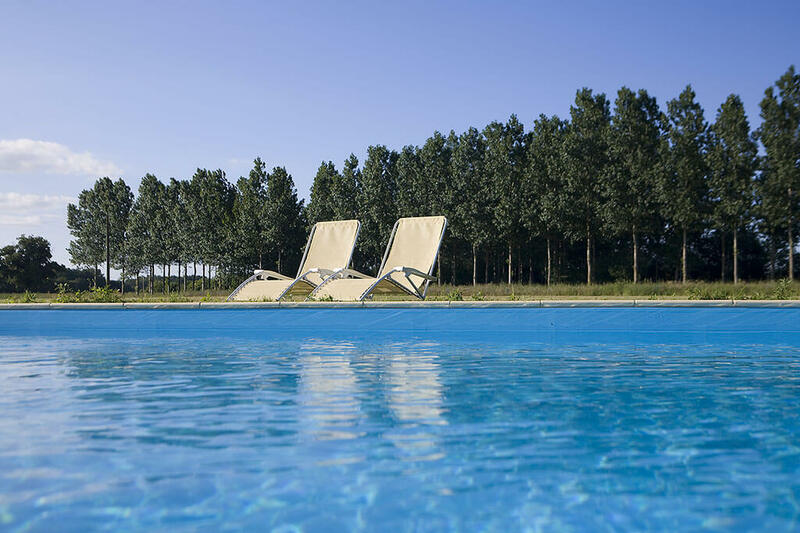 The Petite Richardière is an elegant countryside escape that is perfect for your next French villa rental. 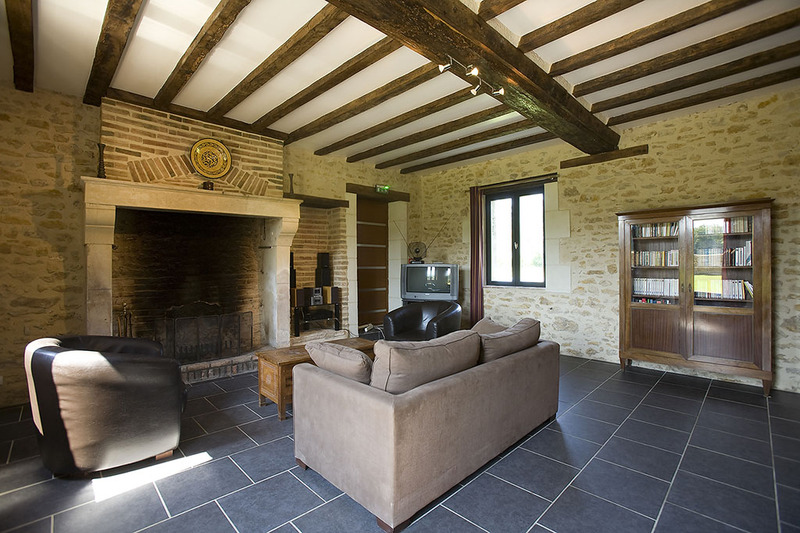 Built in the early 19th century, the farm house villa is situated just 2 1/2 hours from Paris and only 30 minutes from Angers. The Petite Richardière boasts a large hall for special events with family and friends. The farm house has comfortable and fully renovated accommodations for 15+ people. The private and child-safe swimming pool is a great way to unwind after exploring the tranquility of the 15 acre property. 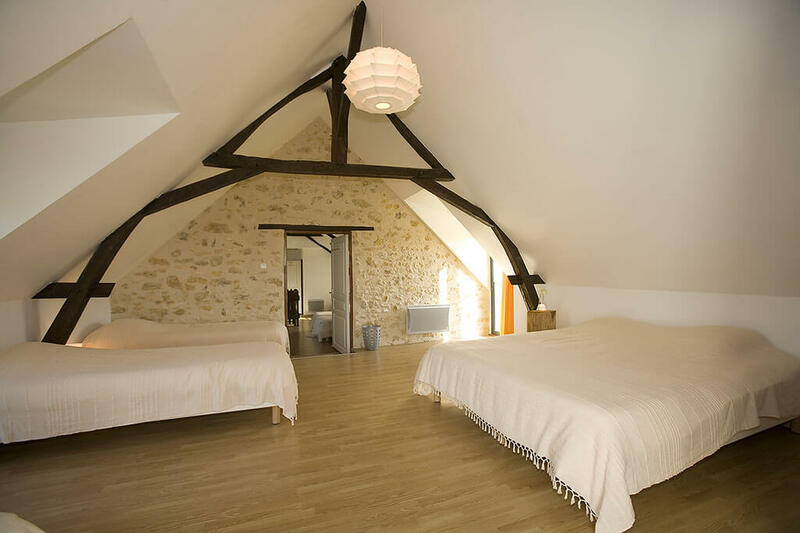 Anjou (49) is a wonderful French countryside retreat. It’s home to the famous Loire Castles such as the Angers. It’s surrounded by beautiful vineyards which can be explored on foot or by horseback. 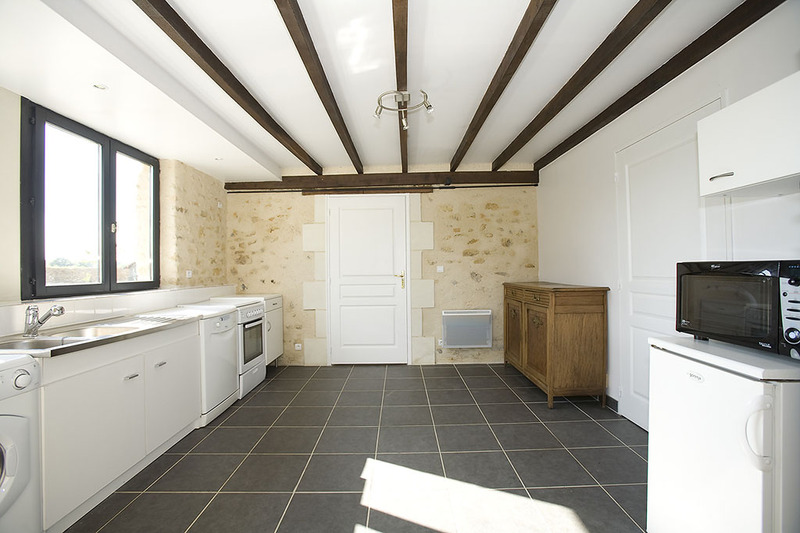 Contact us today to book your next French villa rental in Maine et Loire. We just enjoyed a lovely weekend with family and friends. We had everything we needed! All of the amenities you can think of; from laundry to crockery. Very comfortable setting with 20 beds and excellent taste in the renovation! The location is ideal, comfortable, and very pleasant! It’s a great place to recharge. So many things to do, an amazing cultural heritage sites nearby. Such a gorgeous park like setting, fully renovated 19th century farm house. You can tell that the owners take pride in what they do. A wonderful place! We’re a large family from Angers and have been in the Julien region for more than 30 years. The facilities at La Petite Richardière are ideal for enjoyable functions. Their grand hall is a perfect setting for family banquets. Being able to stay in the same place is ideal too! We especially appreciated the attentiveness of the staff and the superior service. Thank you! It’s never easy to find a great accommodation for groups of 18 people that’s affordable, comfortable, and with great service. La Petite Richardière is exactly that. Apparently it’s not a secret either. Book in advance, you’ll love it. What a great place! The great room (banquet hall) and the swimming pool were superb. What else could you ask for to enjoy a memorable vacation with the family? Thank you for making it truly wonderful and being so hospitable. Each year, our entire family gets together for an annual reunion. This year we chose La Petite Richardière. We’re glad we did! Everyone from the seniors to the children had a great time. Enjoying the vast amenities and natural surroundings including the pool and the nearby heritage sites and castles. After a short weekend of festivities, our large family decided to extend our vacation by one week. We’re so happy we did! We enjoyed the serene and natural surroundings away from the pollution of Paris.